A packed Chichester Cathedral hosted a highly impressive performance of Noye’s Fludde on 16 March along with the annual Choral Day concert by pupils at The Prebendal School. 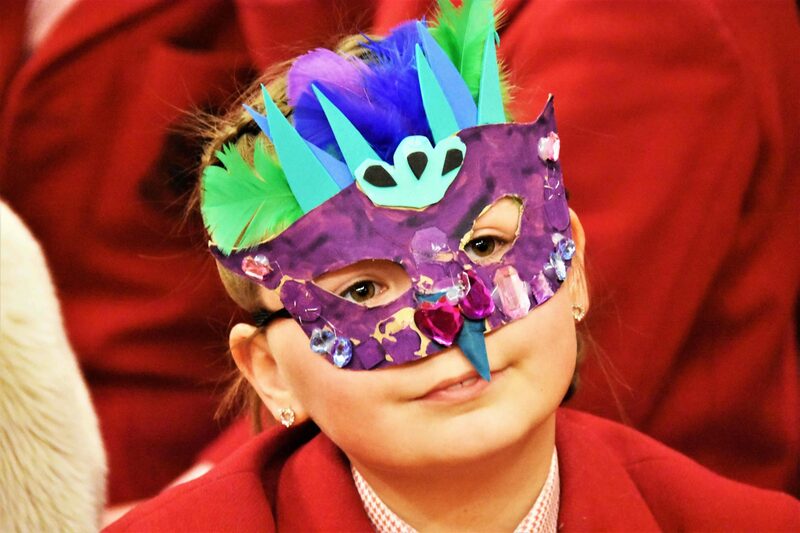 The ambitious production included 80 pupils wearing animal masks, a team of child vocal soloists, a string quintet, two professional opera singers, a team of trumpeters playing the fanfares, a ballet dancer, a chamber orchestra, and celebrated local author Kate Mosse OBE as The Voice of God. A host of former pupils, parents and staff, known collectively as The Prebendal Associates, also joined current families in the production that involved more than 170 performers. Professional singers Alex Ashworth and Jessica Gillingwater played the parts of Noye and Mrs Noye. Noye’s Fludde is a one-act opera by the British composer Benjamin Britten, intended primarily for amateur performers, particularly children. First performed on 18 June 1958, it recounts the Old Testament story of Noah’s Ark. Britten specified that the opera should be staged in churches or large halls, not in a theatre.